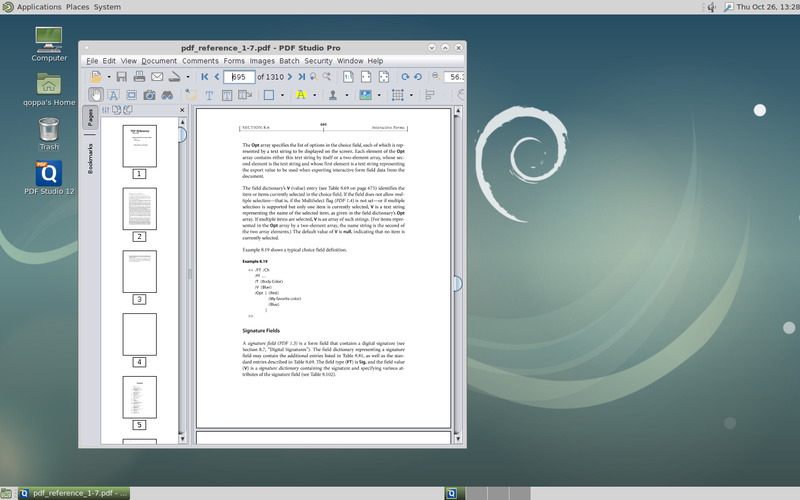 Q: Does PDF Studio work on Debian 9? A: Yes, PDF Studio is currently fully compatible with Debian 9 as well as previous versions back to Debian 7. We have tested PDF Studio on Debian 9 and we’re able to confirm that our PDF editing software works properly on the new Debian OS. As a user, you should experience no issues with installing and running PDF Studio if you upgrade to Debian 9.